Disney Fireworks in Disney World! Walt Disney World has fun night time entertainment. In particular you have several different Disney fireworks shows to experience. 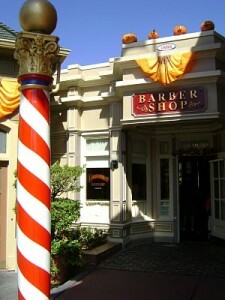 Disney has been busy creating all sorts of new experiences for us. 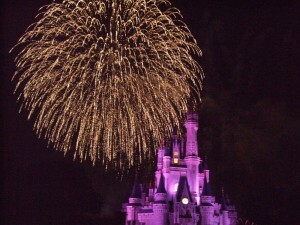 The Disney fireworks shows in Walt Disney World are part of the ever changing magic. 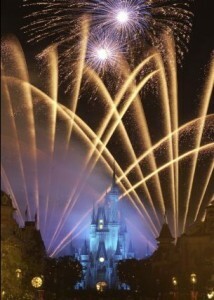 Magic Kingdom is my favorite theme park for fireworks. The show there is called Wishes! It is special to me. It will tug at your Disney heart. I suggest staking out your favorite spot early. There are several good viewing areas. The best ones are the first ones that fill up. Have you ever simply heard music that gave you goosebumps? I get them every time I am at Walt Disney World and view Wishes Nighttime Spectacular.